THOMSEN PUMPS, in stock, NEW, at ALARD EQUIPMENT CORP.
WE STOCK Thomsen Model 5 and 6 pumps, for fast shipment; --pump only, or with motor! Call or fax us to confirm current price and availability! 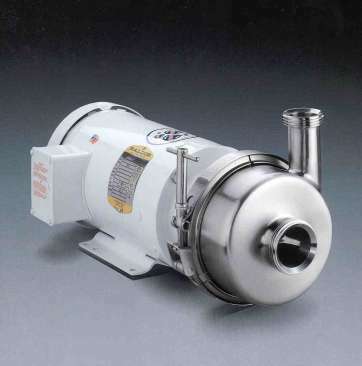 Thomsen Sanitary Centrifugal pumps have a clamp head design permitting 360 degree outlet rotation. Thomsen pumps are manufactured from type 316 stainless steel and are polished to a sanitary finish. and have 3A sanitary authorization.